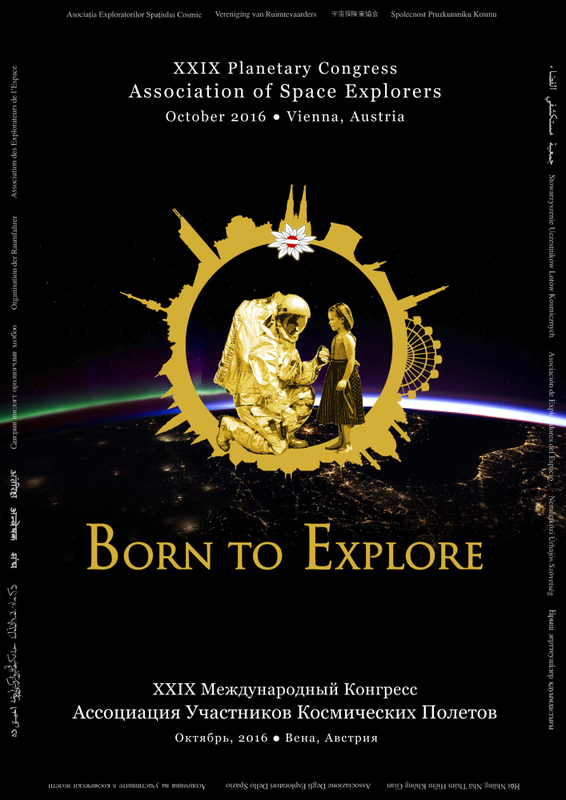 The official poster for the ASE XXIX Planetary Congress from 3-7 October 2016 in Vienna was released. The center image symbolizes the congress host city Vienna with a golden Vienna silhouette and the Edelweiss flower with the Austrian flag in the middle stands for the host country Austria. The spacesuit with the girl in the middle symbolizes this year’s motto “Born to explore”. In the background image Austria is visible from space at night.